I sure hope he is right about the first one, Iranian women have shown how courageous they are, and will help to destroy this regime. In Iran, young women are jailed for specious reasons, then raped before being executed in a barbaric effort to keep them out of heaven. The people of Iran are desperate for a show of support from the West. On International Women's Day, will the West finally stand up for women in Iran? On June 20 2009, a beautiful young woman was standing alongside the road in Tehran, watching her fellow Iranians taking to the streets demanding freedom and protesting the most recent fraudulent presidential election. Neda Agha-Soltan looked on, perhaps in disbelief that, once again, the fanatic leaders of the Islamic Regime had stolen the hope of her generation for democracy, human dignity, and equality. Then, a shocking event took place that riveted the world�s attention on the cruelty of the Iranian leaders against their people. A member of the Basij forces shot Neda. As she fell to the ground and her beautiful eyes took a last look at the sky, Neda (which means �divine message� in Farsi) became the unforgettable face of the Iranian people. Her death became the iconic symbol of a nation, which, in its quest for justice and freedom, has suffered tens of thousands of casualties. 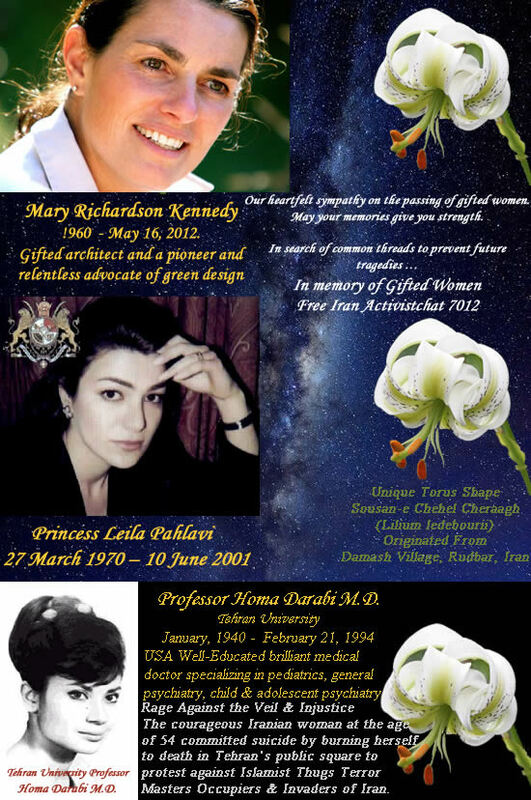 Today, while the world is celebrating International Women�s Day, honoring the women who have made the world a better place, it is essential that we remember the innocent women of Iran and what they�ve lost at the hands of a vicious regime. Ever since the 1979 Islamic revolution in Iran, women have been subjected to the cruelest of punishments. Despite Supreme Leader Ayatollah Khomeini�s promise that he would allow women freedom of choice in clothing, activities, and lifestyle, one of the first orders of the Islamic government was to force all women to wear the Islamic hijab, covering their hair and their body. No makeup was allowed, and they could not be seen with anyone other than their husbands or relatives. Anyone caught disobeying the law was subjected to lashing and imprisonment. The ruling clerics called themselves God�s representatives on earth, and anyone opposing them was deemed a mohareb, an enemy of God. The Quran authorizes torture and death for enemies of God. The Islamic regime has taken this authority to its most heinous extreme. Thousands of innocent young girls have been brought to prison for the most specious of reasons. They�re thrown into small cells, designed for just a few, along with sometimes 30 of their fellow victims. As a CIA spy in Iran, I was a witness to this. Every few days, guards call out names over a loudspeaker. These women know what it means to have their names called, and they hold hands, praying that this will not be the day they are dragged out of their cell and executed. Those whose names are not called for execution are lined up and lashed. Many of them faint from the lashing, never knowing what the guards do with their unconscious bodies. If they are called, they are raped before execution so they are no longer virgins and therefore, according to hardline Islamic beliefs, can no longer go to heaven. None of these girls would ever know the joys of romantic love. None of them would ever hold her own baby in her arms. Their final days have been filled with a level of abuse few can imagine. Women who abide completely by the rules of the clerics are not immune to their cruelty. Many women � sometimes as young as 15 � have been stoned to death on bogus charges of adultery. The Islamic leaders of Iran proudly state that this horrific and inhumane punishment is part of their constitution and consistent with the implementation of the holy sharia laws of Islam. In spite of these atrocities, Iran recently joined the UN Commission on the Status of Women! Meanwhile, the West has done little to support women�s rights in Iran � or support those bravely calling for freedom. In 2009, the Green Movement rattled the regime with calls for democracy, but the West gave no real help � and the movement faded amid a brutal crackdown. Today, inspired by uprisings across the Middle East, Iranians � including many women who�ve planned to protest today � are again trying to stand up to their Islamic rulers. How the West responds will be one of the most important decisions of our time. Will we aid the return of democracy and freedom in Iran, or will we succumb to Tehran�s murderous government in the name of hedging our bets? The people of Iran are desperate for a show of support from the West. By standing with them, we can uphold our duty to take a stand for the security of the free world. People-powered democratic revolts � do they last? Today, hundreds of courageous female political and human rights activists and thousands of brave Iranian girls who joined their fellow men to reject brutality and demand freedom sit in jail helpless � but with a hope that change is possible. Let�s not allow the death of Neda and other victims be in vain. Let�s join together on International Women�s Day to demand justice, equality, and freedom for all Iranians. A Texas medical student well-known in her community as an Iranian Women Rights activist was shot and killed in her car, just yards from her home. IN MEMORY OF Young Women Rights Activist Leader & Genetics Student GELAREH BAGHERZADEH ASSASSINATED in Houston Texas BY IRI the Unelected Illegitimate Regime of Islamist Mafia Invaders and Occupiers of Iran, Top Taazi Thugs and Terror Masters �. Houston: A woman whom Houston police described as an activist on behalf of Iranian women�s civil rights was found shot dead at the wheel of her car after it crashed into a townhouse garage. Houston police said the shooting happened around 12:30 a.m. Monday in a posh development near the Galleria. Bagherzadeh�s body was found inside her running car, detectives said. Bagherzadeh�s car was found at the back of the town home complex, and police said she had driven past her parents� home near the front of the complex. �We don�t know if she was being followed at the time,� Sgt. Richard Bolton said. Investigators said Bagherzadeh was studying genetic research at M.D. Anderson Cancer Center and was an only child. Officers said Bagherzadeh�s ex-boyfriend was on the phone with her when he heard what may have been the crash and gunshots. The ex-boyfriend was questioned, but is not considered a suspect. Detectives said they want to speak with her current boyfriend and other friends to try to piece together what happened. Bagherzadeh was part of Sabaz Houston, a local Iranian organization that supports the green movement against the current Iranian government. Her friends describe her as sweet and smart. Bagherzadeh�s purse and cell phone were still inside the car, so investigators are not sure what the motive for the killing may be. Police have not released any information about possible suspects. Investigators obtained footage from a neighbor�s surveillance system to look to see if anything helpful to their case was caught on camera. Copyright 2012 by KSAT.com All rights reserved. This material may not be published, broadcast, rewritten or redistributed. A neighbor who did not wish to be named told ABCNews.com that the shooting was "very unusual." He has surveillance cameras outside his home and said police came to his house to collect his tapes. He instructed Gen. Qasem Soleimani, the chief commander of the Quds Forces, to prepare the ground for terrorist attacks, first to retaliate against assassination and espionage within the Iranian nuclear program, and second, to go on the offensive to make the West understand that any military action against Iran will create much instability in the world. Interview with Nazanin Afshar Jam. Rage Against the Veil & Injustice The courageous Iranian woman at the age of 54 committed suicide by burning herself to death in Tehran�s public square to protest against Islamist Thugs Terror Masters Occupiers & Invaders of Iran. Professor Homa Darabi M.D. Tehran University January, 1940 - February 21, 1994 USA Well-Educated brilliant medical doctor specializing in pediatrics, general psychiatry, child & adolescent psychiatry.